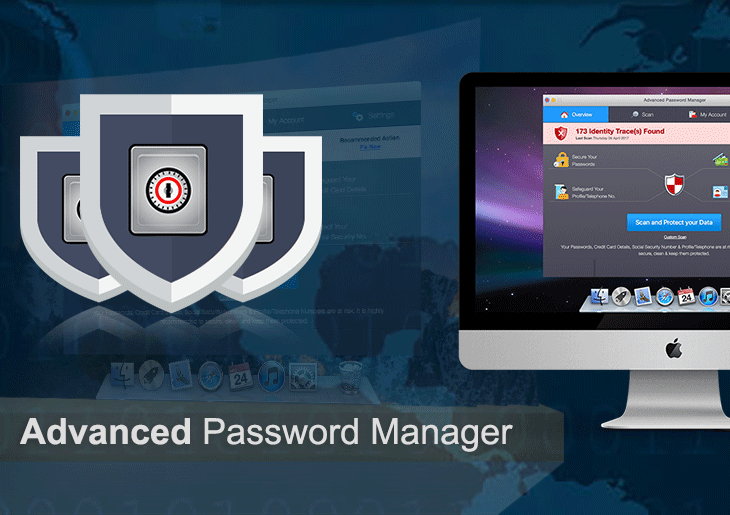 Find out why Advanced Password Manager is categorized as a potentially unwanted Mac app and get an effective way to get rid of this scareware on Mac. Advanced Password Manager is an application that’s too controversial to describe in one brief paragraph. On the one hand, it seems like a commonplace cross-platform solution to handle one’s sensitive account credentials and ensure identity protection. On the other, its reputation has been undermined by user feedback stating that the software enters Mac computers without proper authorization. There are also well-grounded doubts about trustworthiness of the scan reports generated by this applet – it arguably raises red flags on issues that don’t exist for real. So, what’s the truth? It’s somewhere in between. Advanced Password Manager might go equipped with some identity defense features, but that’s just for show rather than a reflection of the developers’ mission. The real intensions in this case come down to making people pay to fix the issues that aren’t there. The way this misleading application infiltrates Mac machines is inherent to a vast majority of scareware and adware in the wild. Its payload constitutes installation packages for other, unrelated programs. Most of the time, it’s some eye-catching freeware that serves as the smokescreen for the intrusion. The default (recommended) install option is predefined to drag several items inside rather than only one the victim thinks he or she is installing. As a result, the bundle enters a Mac without the user’s knowledge and consent, although they technically accept these terms by clicking “I agree” and “Next” headlong on the setup client multiple times. Once inside, the Advanced Password Manager virus creates a new entry in Login Items so that its process is executed at boot time. It also installs and enables an affiliated add-on in all web browsers found on the Mac. This is allegedly required for complete protection of the admin’s online accounts and for the form autofill feature to take effect. However, the extension will eavesdrop on the user’s Internet activities and may tweak the browsing settings to redirect the web traffic to unwanted sites. When up and running on a host Mac, Advanced Password Manager will also make itself felt through irritating popups and scans. The latter pretend to look for various traces of the user’s confidential data, including stored passwords, credit card details, telephone numbers, SSNs (Social Security Numbers), and other fingerprintable stuff. Then, under the guise of efforts to prevent identity theft and inundation of the system with redundant files, the scareware will report numerous identity traces and junk while emphasizing that they may lead to serious consequences unless deleted or securely locked in a vault safeguarded by the entropy of AES cryptography. That’s the pivot of the whole attack, because the associated service presupposes payment. In case the victim refuses to register their copy of the product, the culprit will shell their computer usage experience with a slew of popup reminders and alerts. Advanced Password Manager may re-infect your Mac multiple times unless you delete all of its fragments, including hidden ones. Therefore, it is recommended to download Freshmac and scan your system for these stubborn files. This way, you may reduce the cleanup time from hours to minutes. Download NowLearn how Freshmac works. If the utility spots malicious code, you will need to buy a license to get rid of it. Lots of infected users have been also reporting error messages right after computer startup that say, “Advanced Password Manager quit unexpectedly”. This is a consequence of the infection modifying system settings in a faulty way. To top it all off, the pest tends to slow the Mac down to a crawl, especially during the unannounced scans. This isn’t really because it’s doing a resource-heavy job of checking the computer for actual perils and unneeded data – instead, that’s part of the tactic to demonstrate that the system allegedly requires quite a bit of optimization. Under the circumstances, the best option is to uninstall Advanced Password Manager from infected Mac and remove the troublemaking browser helper objects it added. Here’s a tried-and-tested technique that helps tackle the problem. When confronted with malicious code like the Advanced Password Manager virus on Mac, you can neutralize its toxic impact by leveraging a specially crafted system utility. The Freshmac application (read review) is a perfect match for this purpose as it delivers essential security features along with must-have modules for Mac optimization. This tool cleans unneeded applications and persistent malware in one click. It also protects your privacy by eliminating tracking cookies, frees up disk space, and manages startup apps to decrease boot time. On top of that, it boasts 24/7 tech support. The following steps will walk you through automatic removal of the Advanced Password Manager infection. Check whether the Advanced Password Manager issue has been fixed. If it perseveres, go to the Uninstaller option on Freshmac GUI. Locate an entry that appears suspicious, select it and click Fix Safely button to force-uninstall the unwanted application. Go to Temp and Startup Apps panes on the interface and have all redundant or suspicious items eliminated as well. The Advanced Password Manager malware shouldn’t be causing any further trouble.